Ok… I owe you all an apology. I’ve not done a good job of getting this newsletter out. I aim to do it every two months and the last one went out in March. So…. I’m erring on the side of over-communicating to make up. Wow! What a fun and engaging and exhausting experience. Thank you all for showing up… really showing up… and helping us figure out how to move this work forward. As one attendee said, it’s a marathon! One of the most interesting take-aways from the survey responses was that those of you who “felt safe and welcome throughout the day” also learned something new and made new connections throughout the day. Those who did not ‘feel safe and welcome throughout the day" still learned and made connections, but found more barriers to doing so. The microphone matters. People living with hearing impairment really appreciate it! Bias language is deeply embedded in this kind of work (“low” literacy as an example) and we need to do a better job of recognizing and avoiding it. Develop a shared set of ways we interact, shared values, adopt common outcome measures, hold each other accountable. Engage more stakeholders! Businesses / employers, clients, elected officials, faith community, families / parents, those who can’t attend meetings, law enforcement, courts, juvenile justice, people of color, rural communities, education, service clubs, youth, seniors. Safe & Inclusive. Create safe & inclusive spaces with language, childcare, food. Will have greater impact if we use native languages. Law enforcement / First Responders are doing internal recruiting to engage others from that industry. TRACEs is a topic on the October City Club of Central Oregon agenda. Strengthen our networks. Find ways to know what everyone else is doing! Find ways to collect information on referrals (results of the referrals, who made the referral, etc), Break through the rigidity of systems / institutions. Bring people together (food, cultural experiences). Support each other. Events that give us time to hear what others are doing. We’re exploring ways to get together less formally with opportunities to get to know our different stories, cultures, foods, etc. Interested in leading or being part of a work-group on this topic? Contact Katie at katiehmcclure@gmail.com. Support Providers! 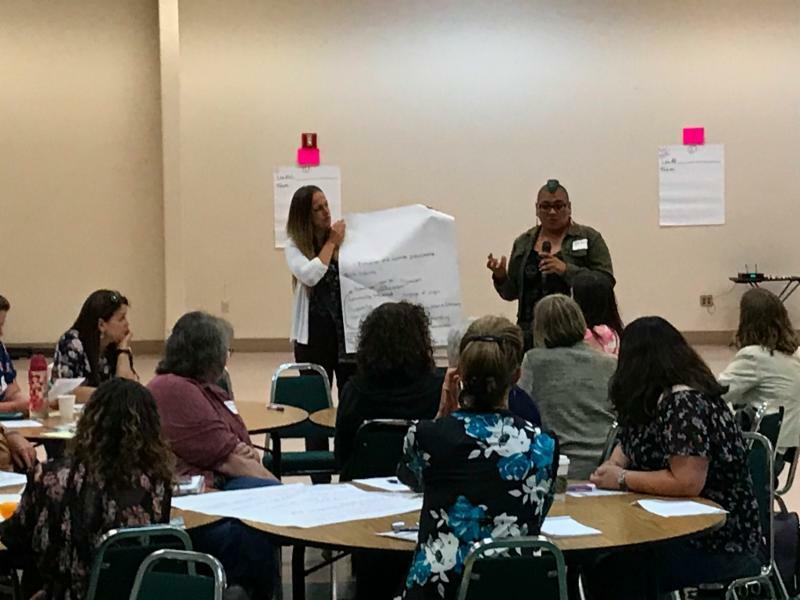 More staff training on trauma informed care, train-the-trainers in resilience, share Coordinated Community Response (CCR) with other agencies. Additional capacity is being put toward supporting partner needs related to provider support & training. Are you interested in training or are you a trainer? Contact sarahgguilfoy@yahoo.com. Watch for a train the trainer in Crook County this fall! Are you eager to engage your local community? We’d like to work with a small group of individuals from every possible Central Oregon community to help better understand the needs and share learnings. So many of you have been asking about how you can get involved.. .this is it! Stipends available for people interested in representing TRACEs in their community. Contact jen.rusk@gmail.com. WOW! Y’all sure are interested in understanding what’s working. Our poor OSU-Cascades research team can barely keep up… and you are inspiring them. Dr. Shannon Lipscomb was recently overheard saying, “The energy is incredible… I keep telling people there’s something magical about TRACEs.” Almost a hundred attended the recent learning community. At the event, Drs. Lipscomb and Kothari shared details about the Child / Youth Resilience Measure and the Adult Resilience Measure along with recently released evidence that paying attention to equity improves collective impact outcomes. Many partners are in the process of figuring out what ‘paying attention to equity’ really… really… means. 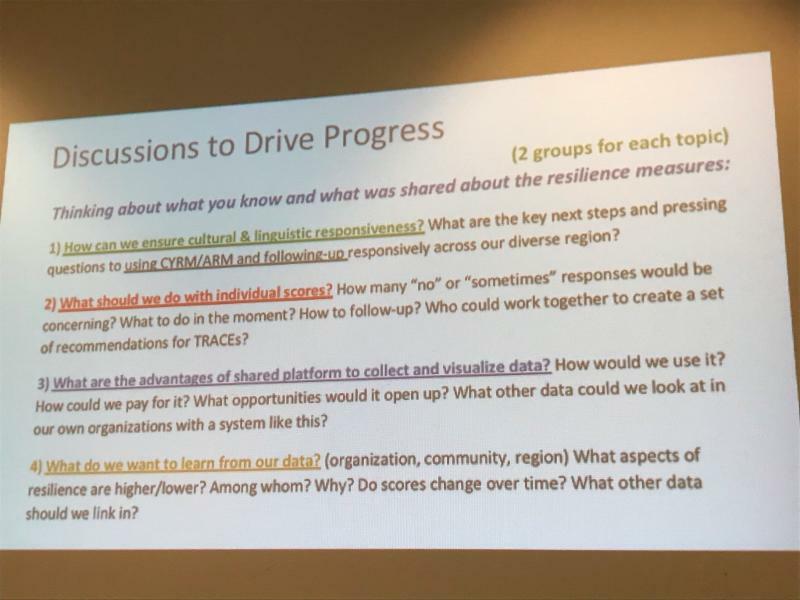 Several organizations shared their early experiences with measuring resilience and those already in progress working with the CYRM measurement tool include: CASA, Friends of the Children, Boys & Girls Club, Inspire Early Learning Center, Healthy Beginnings, Best Care Jefferson County, Child Care Resource & Referral, NeighborImpact, OSU-Cascades (yes, the entire school! ), Family Resource Center, Crook County Schools (yes, the entire district!). Not sure what this is or want to know more about the CYRM/ARM measure of resilience? Contact Meah at meahcukrov@gmail.com. TRACEs Outcomes & Impacts Learning Community (Madras). Details: Sept. 26 9am-11am in Madras. If you received this newsletter by email, you are on the list to receive the details of this event once they are available! Experiencing Poverty and Its Effect on Health. Let’s Talk Diversity is hosting a training where you can experience first hand how poverty affects the lives of your clients, customers, students, family and community members. This is training #3 of 4 but no need to have attended the first trainings in the series to attend this one. Hint: so far they’ve all been well worth the time. Details: Sept 27th 9am-3:30pm in Madras. Register here. Fee: $89. Contact katiehmcclure@gmail.com if the fee is a barrier. Central Oregon City Club. TRACEs will be the topic at the October meeting. This is a great opportunity for all of us to engage people from lots of other sectors. Please attend if you can to share why and how you are involved! Details: October 18th 11:15am-1:00pm at the Riverhouse Hotel & Conference Center in Bend. Save the date and watch for a link to their registration once it’s avail. Markian Hawryluk wrote a a 9(! )-page feature article in the Bend Bulletin’s Pulse Magazine on trauma and resilience highlighting the lives and efforts of many TRACEs partners. Read it here! 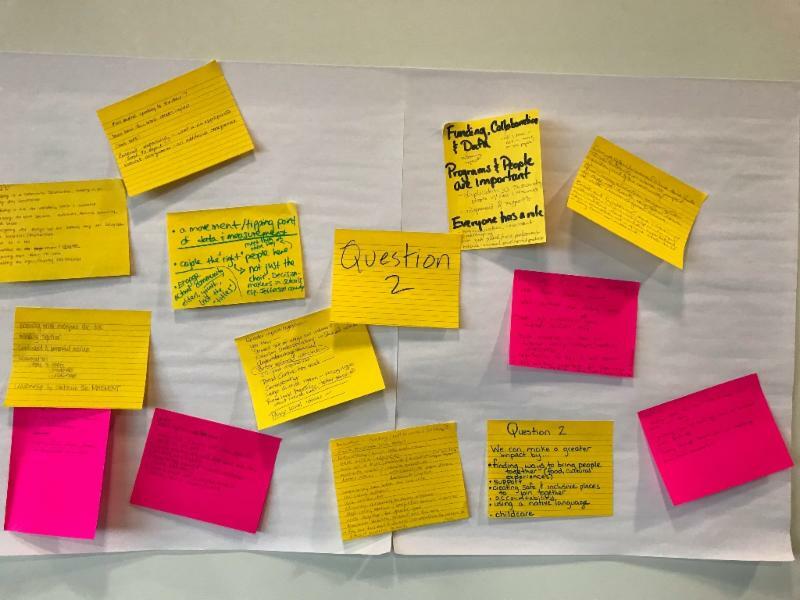 Partner Kara Tachikawa of Inspire Early Learning Centers is at it again…. When TRACEs looked into ‘getting all babies what they need,’ we realized many were already doing just that. But, nobody was thinking about childcare. Kara took this into her own hands and, as a Chamber member, encouraged the Bend Chamber of Commerce to look into the childcare crisis. At her urging, they convened a task force, surveyed members and the community, and are getting media attention for their efforts. See this front page article from the Bend Bulletin in June. Partners AirLink, the FBI, and the Central Oregon Chaplaincy have asked us to help them find others in the industry thinking about addressing the vicarious trauma experienced by teams and their families. Interested in learning more? Email ekludwig@fbi.gov. Friend of TRACEs, Crook County on the Move has launched a super fun “Keep Moving Challenge” encouraging people to move together. Check out their cool bingo cards here. Our favorite is the “Gentle Movement” card and the many options to get moving with others. Schools…. SO MUCH! 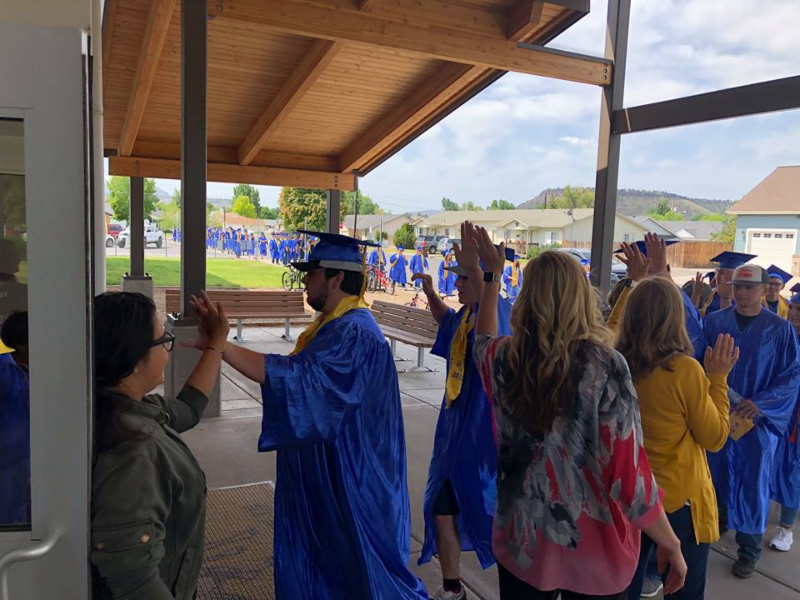 No surprise since, along with the Central Oregon Health Council, the Early Learning Hub, and the United Way, Better Together was one of the founding partnerships’ to launch TRACEs. 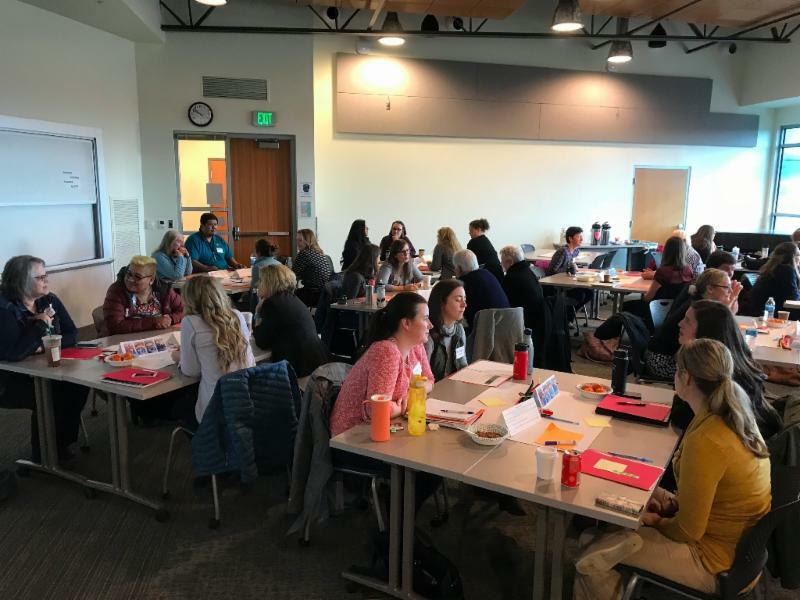 Crook County School District is already learning how to support students and staff after getting a baseline measure of resilience for over 2,000 people (students and staff). They will also be training a group of Trauma Informed trainers within the schools, offering trauma informed training to community members, and adding additional social worker capacity to provide services and build capacity. We’re so excited to support this work and see where it goes! Behavioral Interventions and Supports (PBIS) system to create a culture of care. They are doing things like adding mental health provider capacity, hosting a Trauma Informed Schools Summit, working with Rick Robinson to identify and implement school specific tactics from policies to practices. Redmond School District is also building upon their current PBIS system to create a culture of care by adding mental health capacity. … and lots more in the works! Really, I’m constantly amazed and inspired by everything going on. We’ll be writing some specific blog-type articles digging a little deeper into the why, what and how behind some of your efforts. If you are interested and willing to share your story, please let me know at katiehmcclure@gmail.com.